The Northern lights are a dazzling natural phenomenon which has captivated us for centuries. The enchanting bands of colours in the sky will leave you speechless. Now to take this up a notch you can enjoy this magical display in your very own treehouse. 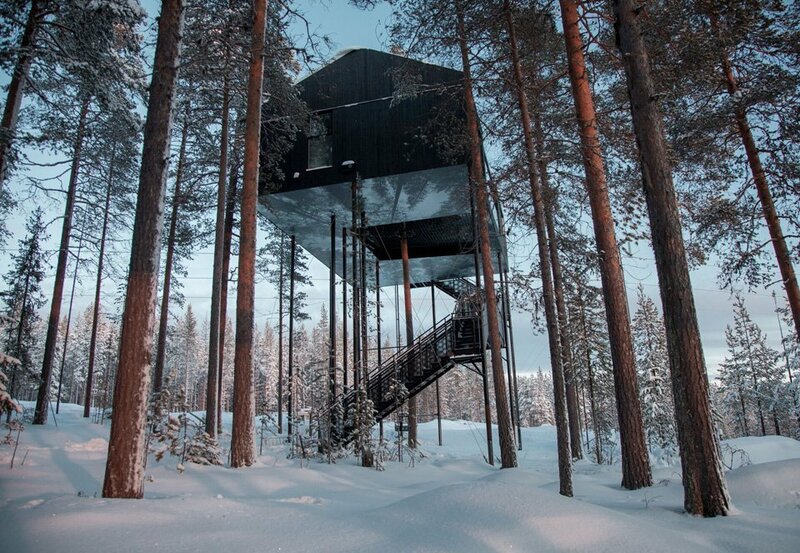 Tree hotel is located in the region of Harads in northern Sweden. 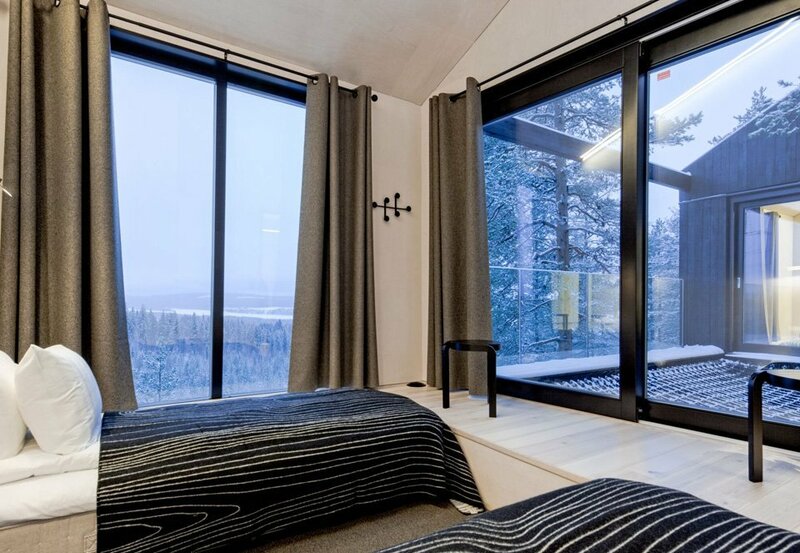 The scenery which surrounds these tree rooms is idyllic, during the day tall pine forests and Lule river ignites a sense of adventure and during the night the Northern Lights will take your breath away ( if the conditions are favourable ). 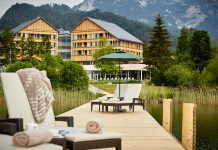 It is one of the most unforgettable places to stay in Europe. 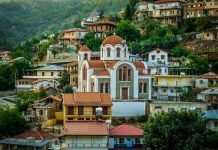 Once you arrive the check-in takes place at a small guesthouse and this is where your journey begins. To reach these magnificent treehouses you have to take a small walk into the evergreen pine forest. 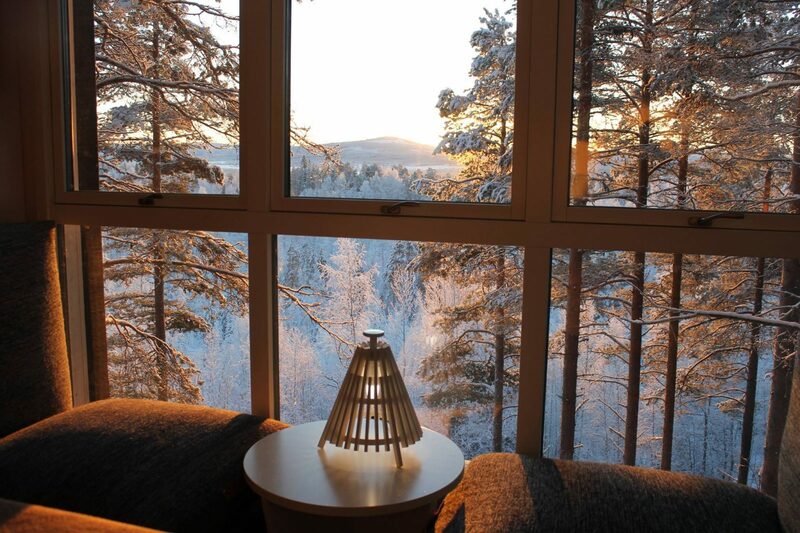 The adventure to reach the treehouse is part of the experience it gives you a reality check that you are staying in a treehouse right in the middle of a forest in the Swedish Lapland. 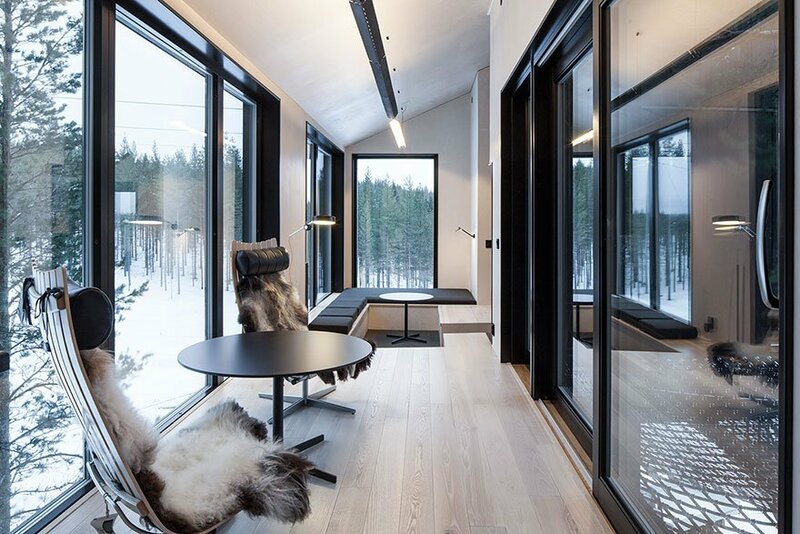 Founders Britta and Kent Lindvall have created a place where nature, ecological values, comfort and modern design are combined for an exciting adventure. 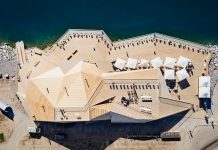 They devote considerable resources to finding sustainable construction and energy solutions which has minimal impact on the environment. 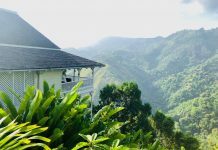 It all began when one day, filmmaker Jonas Selberg Augustsén came to Britta’s guesthouse to work on the film ‘ The Tree Lover’. Once the film had been completed Britta wanted to make the treehouse an integral part of what the guesthouse had to offer but maintain the treehouse along with the guesthouse was not an easy job. Britta and Kent wanted to combine the treehouse and the guesthouse experience. Luckily, Kent happened to be friends with Sweden’s foremost architects and they agreed to design one room each. 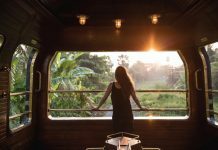 It resulted in 6 very unique tree houses – a UFO treehouse, a bird’s nest, a cabin treehouse, a mirror cube treehouse, a blue cone treehouse and their latest addition the 7th Room. The Treehotel offers 6 different treehouses each unique in their own way. 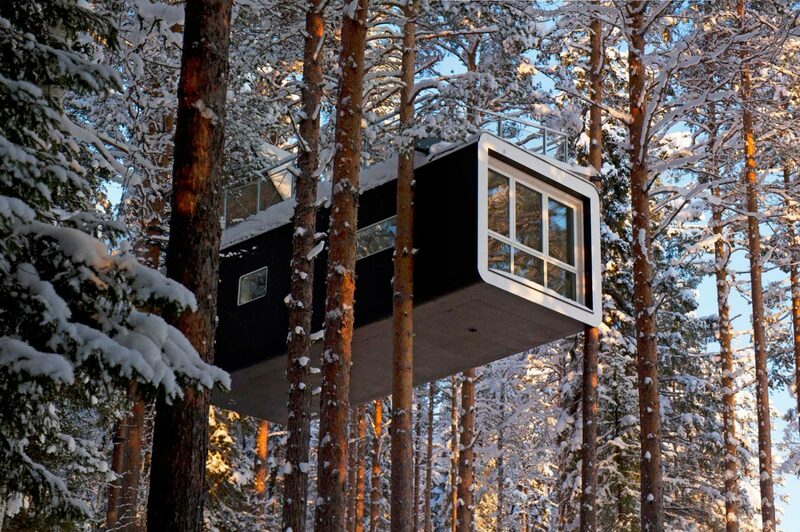 The treehouses are either suspended 4-6 meters above the ground or built on platforms amongst the trees. Accessible by ramp, bridge, or electric stairs. 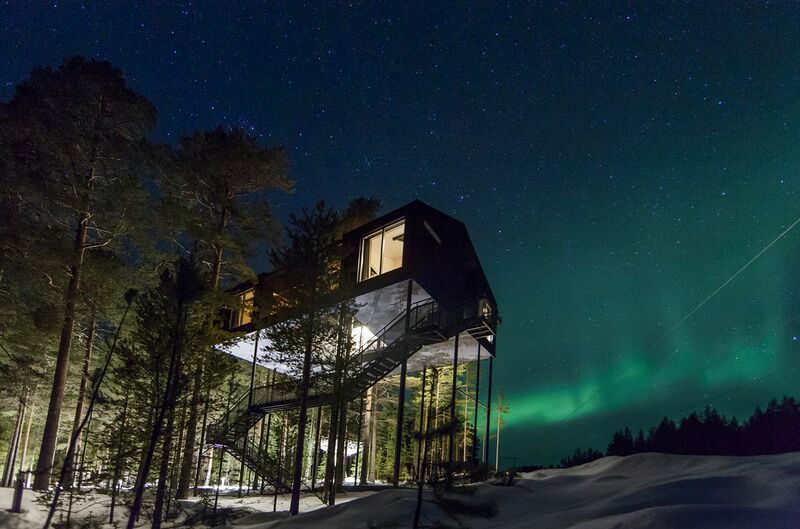 Along with being located in the Aurora zone part of the appeal of these treehouses is the Scandinavian design. 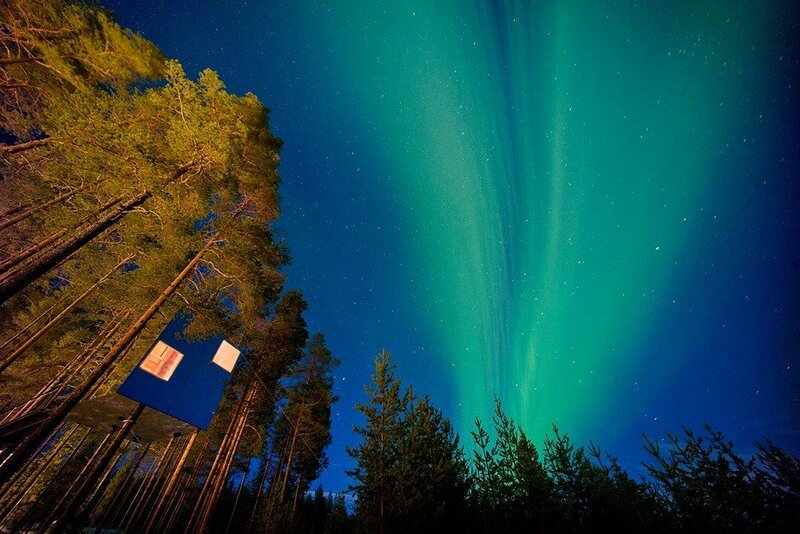 Their largest tree house is the 7th room which boasts panoramic windows, perfect way to catch the Northern lights. 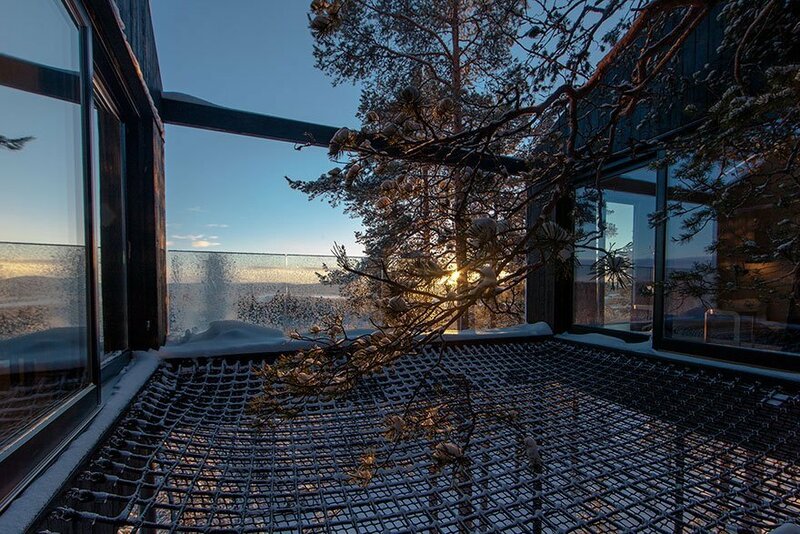 If you are one with nature and want to experience this natural phenomenon in its full glory you can even sleep on the net patio which suspends you above the ground. The base of the tree house is covered by a life-size photo of the treetops as they looked before the room was put in place. The whole design and experience are like no other. If you are looking to camouflage into nature. The Bird’s Nest is the one for you. 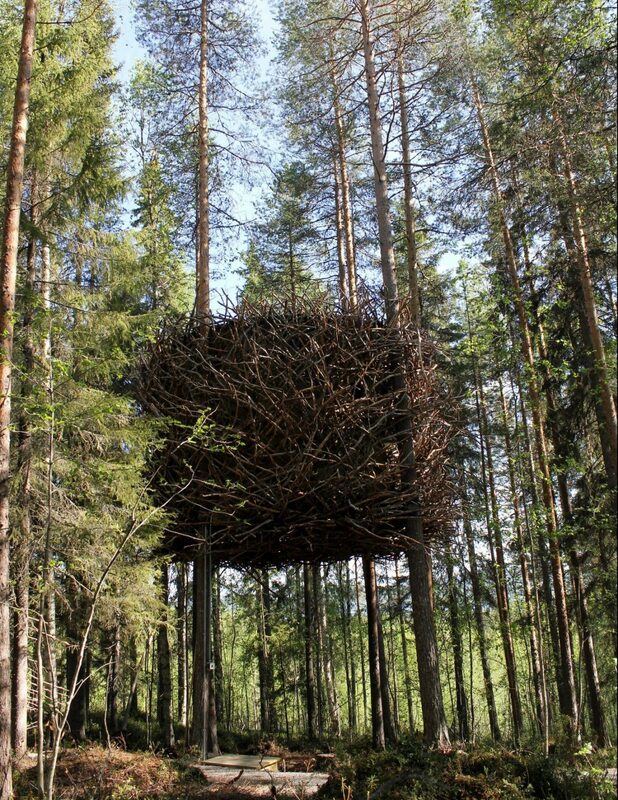 As the name suggests it’s basically a gigantic bird’s nest for you to stay in but don’t be fooled. The inside and outside are nothing alike, the contemporary designed room is large enough for a family of two, cosy and luxurious. While the Bird’s Nest is in line with the surroundings, the hanging UFO is entirely different. 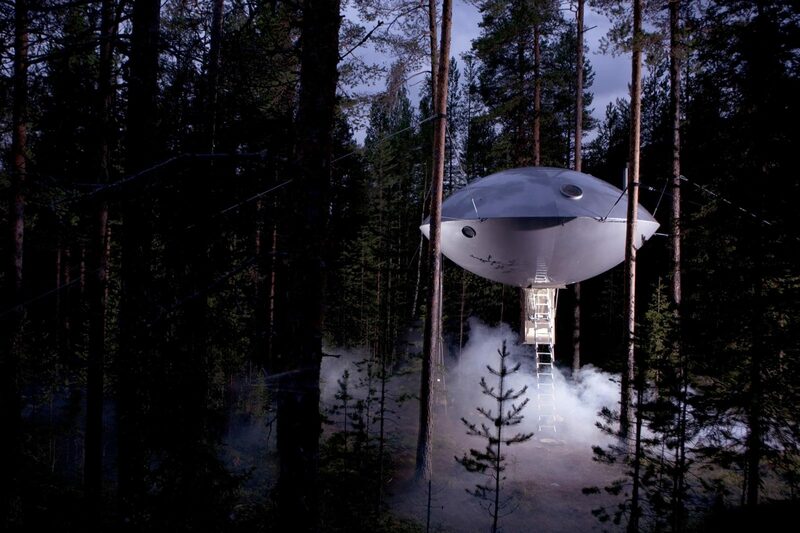 The interior of the ufo treehouse gives the room a modern and comfortable feel. Escape into your childhood dream with this treehouse. With more unique treehouses on offer all the rooms at the Tree Hotel are made from sustainably sourced wooden floors, energy efficient eco-toilets and locally crafted furniture, lighting and fabric where possible. 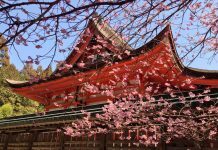 In addition, all are powered by hydroelectricity and no trees are cut down during their construction.